I volunteered in an algebra class for a year to find out what the kids just weren't getting. How to multiply monomials and polynomials. Even those words are SCARY to a visual learner. A very basic example of this would be (x + 3) (x + 4). Most teachers use the FOIL method. This is VERY CONFUSING to visual learners. So, let's begin learning a different way. 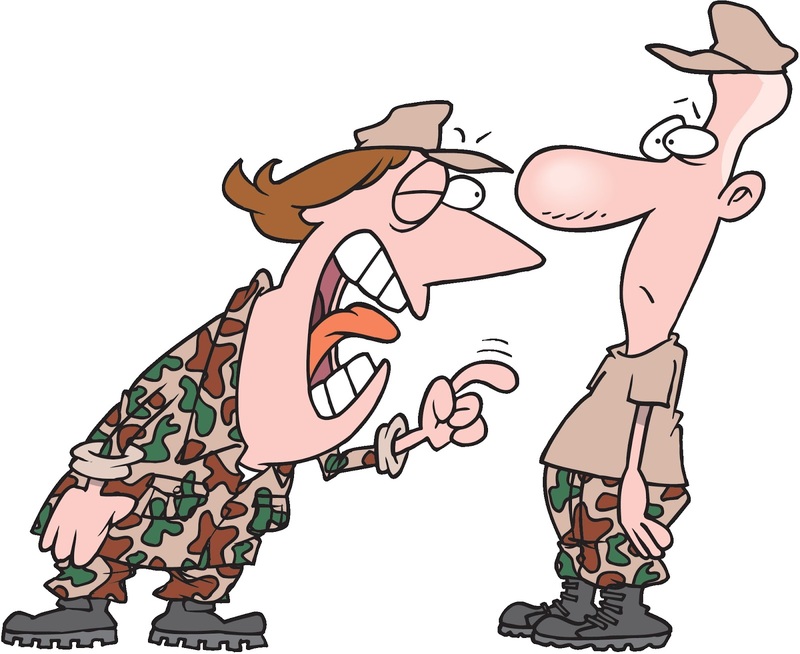 Let's call the lady sergeant above MAM. I am taking creative license with this spelling. This is not only a polite way to address her, but it is another way to learn how to multiply these scary equations. 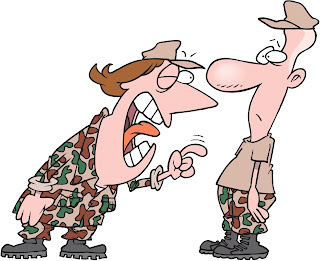 Your sergeant is going to remind you that, like the army, numbers need to be lined up to keep things organized. In the left hand sample above, when you put variables and numbers inside of parentheses, it ALWAYS means to multiply. We are just lining them up easier to multiply these two expressions. 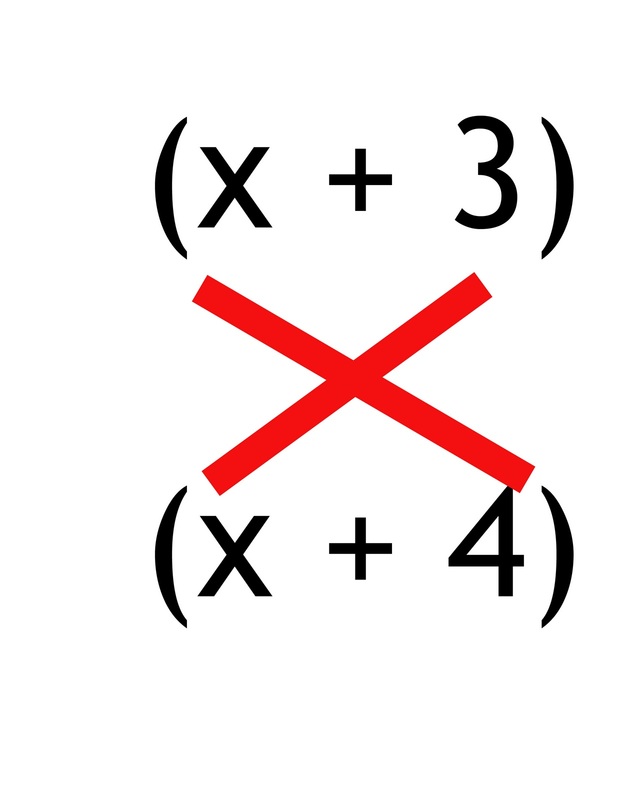 In the second sample above on the right, the big X in the middle also reminds the recruits to multiply. 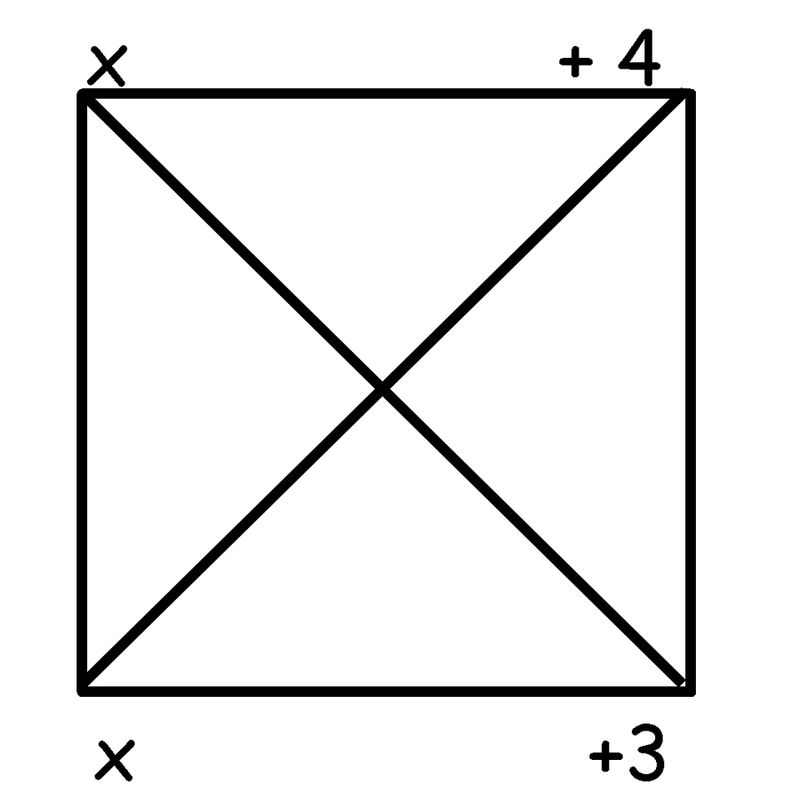 If you are using the right box to explain the concept, tell the recruits to multiply along the lines. So, starting on the left side of the box, multiply the x's. 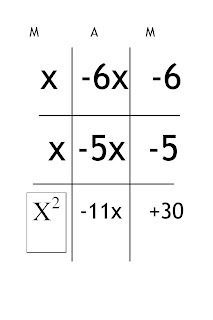 Then go to the right side of the box, multiply the numbers. Next, go to the inside of the box and multiply along the lines. 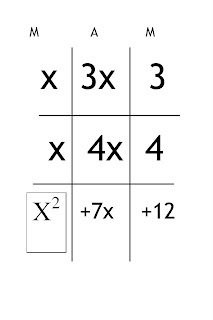 In this example, you would multiply to get 3x and 4x. If there are negative numbers, the answers would also be negative. Tell your recruits that the negative signs are army swords. The soldier with the sword wins the sign. Unless they BOTH have swords, then they cancel each other out for a POSITIVE answer. You ADD the two middle results. In the acronym MAM, M=multiply A=add M=multiply. 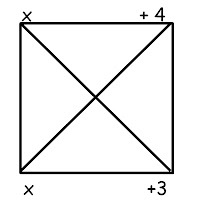 If your recruits prefer the example on the left above, let them play tic-tac-toe. 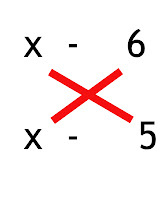 The first player gets to be X. The second player gets to be numbers. Player One: gets to mark two squares with x in the first column. The first letter in MAM stands for MULTIPLY. So player one gets to also mark the bottom box in the first column with the answer, which in this case is x squared. Player Two: gets to mark two squares in the last column. Because player two is the numbers player, they get to put one number (or term) from each of the monomials (parentheses). The third letter in MAM stands for MULTIPLY. Because both of the numbers are positive numbers, the result is a positive number. The middle letter in MAM is for addition. 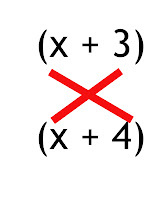 You will see that I lined up these two parentheses on top of each other to make it easier for the students to actually see the cross multiplying that will take place in the middle column. If you let them make an x with a colored pencil between the top x and bottom +4 and the bottom x and the top +3 that visually adds to their learning. 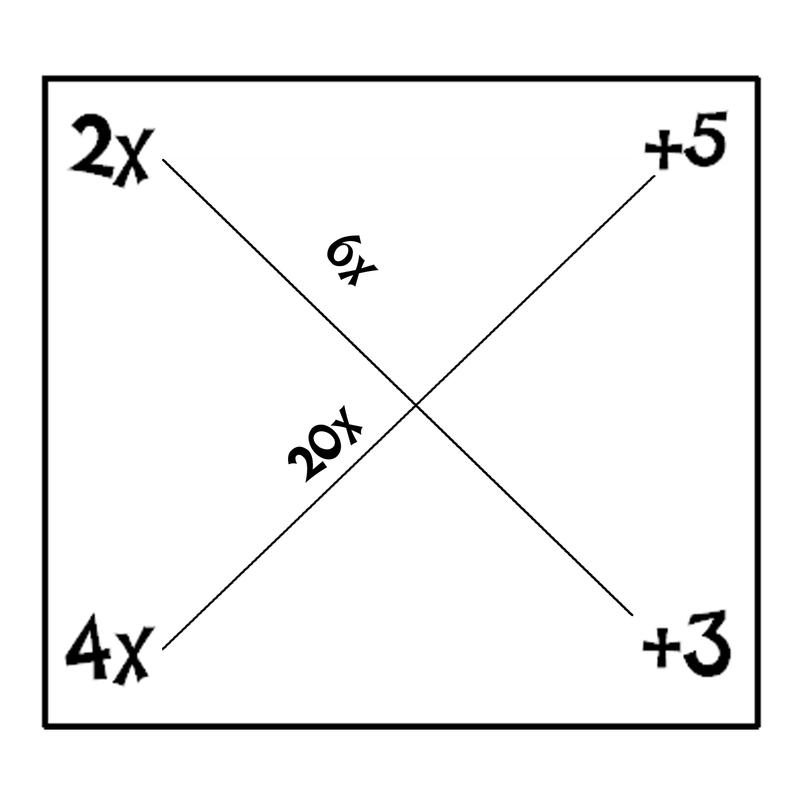 The result of the box filling for the middle column is 3x and 4x. 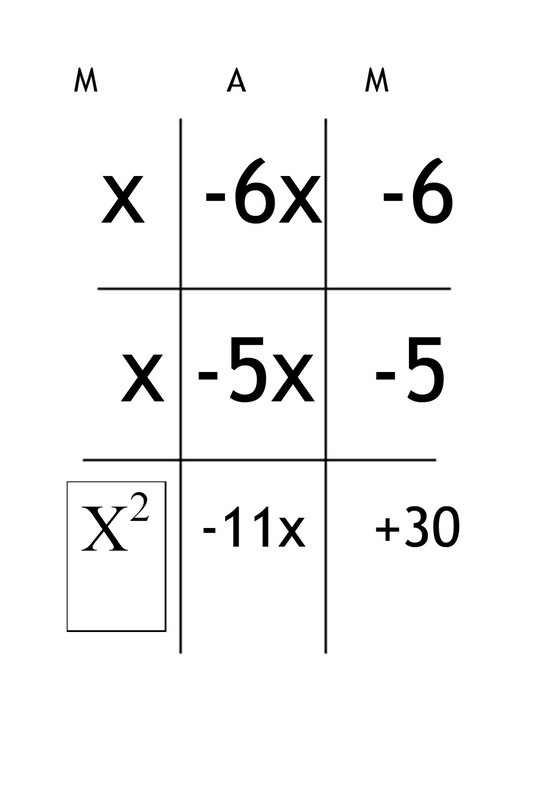 Since we are ADDING in the middle column, and the terms are both positive, the answer for the middle box is +7x. I am now going to do another MAM with negative numbers. I will have previously explained to the students that multiplying in algebra can be compared to marrying. The object of marriage is to multiply (have kids). The older kids get this little joke. 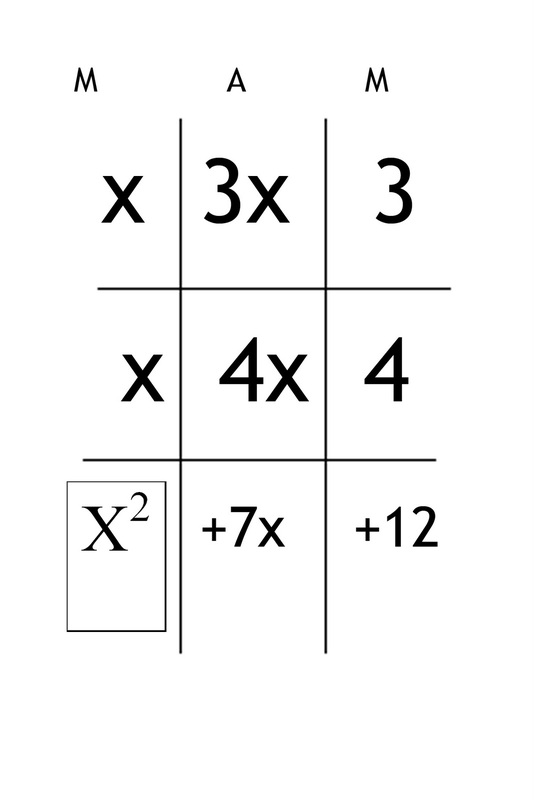 This idea comes in handy when you begin to multiply numbers and variables with exponents. A real marriage needs lots of positive attitudes. I tell the kids that if one of the partners is negative, the results are always negative. So a positive multiplied to a negative, results in a negative. If both partners are negative, they need marriage councelling. That always results in a positive result. In the game below (problem), you can see that player one got to place the two x's and multiply them to get x squared. Player two got to place the two negative numbers from the parentheses in column three. Multiplied they made a positive 30 because they each had a negative attitude and had to go to councelling. If you draw the x lines in colored pencil above, you will multiply to get -6x and -5x. Remind the kids that the signs ALWAYS stay with the term behind them. The result of adding these two terms in -11x. Go see my Darth Vadar blog about adding and subtracting with negative numbers. The answer is in the bottom row.